A revision of my first book, ﻿Piece of My Heart. I updated the first section, "Piece of My Mind", added recipe pairing suggestions and updated information about plant-based nutrition, GMOs and animal agriculture. 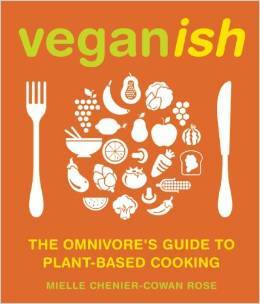 Most recipes now include an omnivorous variation (basic instructions about using these vegan recipes in an omnivorous diet). Soups: Added Follow Your Heart Vegetable Broth, with notes about bone broths. Also added White Bean Soup with Kale, and Coconut Masoor Dahl. Omitted North African Inspired Peanut Soup. Vegetables: Added Follow Your Heart Enchiladas and Thai Green Curry Stew. Changed Wilted Kale to Rapini with Garlic and Lemon. Nuts & Seeds: Added Homegrown Sprouts and Superfood Power Balls. Legumes: Added Indian Curry Stew. Desserts: Added Lemon Cashew Cheesecake, Shortbread Cookies, Chocolate Sauce, Dried Fruit Compote. The Peanut Butter Chocolate Frosting is now a variation of Chocolate Sauce. Breakfasts: Added Macadamia Coconut Porridge and Protein Superfood Smoothie.